Get ready to experience the watershed through self locomotion! 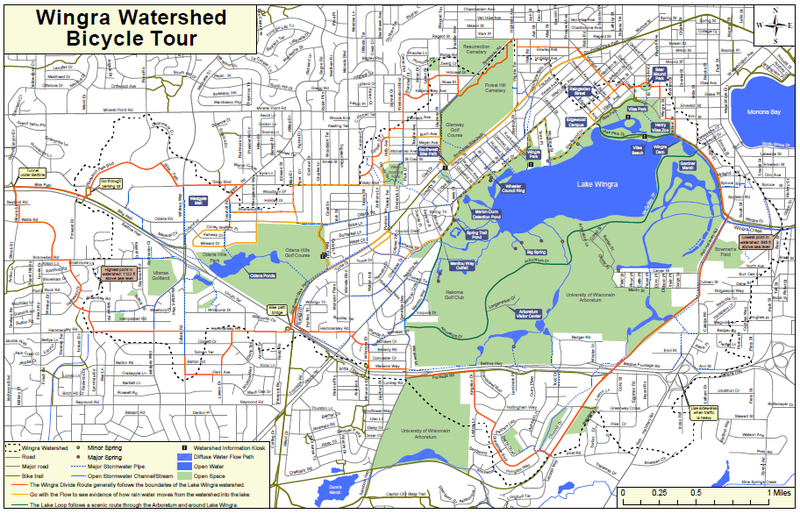 Get ready to start cycling and download the Wingra Watershed Bike Map. The Wingra Divide: Follow the boundaries of the watershed. Go With the Flow: Follow a path rain water would take to reach Lake Wingra. The Lake Loop: Enjoy a scenic route through the Arboretum and around Lake Wingra. Wheeler Council Ring, Spring Pond Trail, Vilas Beach, Watershed Information Kiosks, and Rain Garden Street. Thank you to our board member, Ian Krauss for utilizing his GIS skills to update our map and to Matt Diebel a previous board member in creating the first Wingra Watershed Bike Map!